A super easy upgrade to the snack you already love. Pop the popcorn in an air popper, or pop with whatever method you normally use (stovetop or in the microwave works fine too). 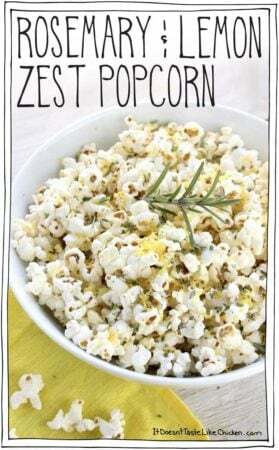 When the popcorn is popped, simply drizzle over the melted vegan butter, then sprinkle with the rosemary, lemon zest, and salt. Enjoy!